How it all works; we are a portrait studio. We offer two different ways to order your images. Create-your-own package and Collections we have put together with products that are most regularly purchased together. Gift Portraits are 8x10s and smaller portrait prints starting at $95 and $75 for duplicates. They included minor retouching and enhancements. Artistic images start at $125, these are images with filters, overlays and designed by Lewis. Wall Portraits are 16x20 and larger and include artboard mounting, texture or clear spray and include your choice of standard frames starting at $465. Available are wall portraits with gift prints packages starting at $675. Additional charges will apply for upgraded moldings, custom matting or canvas prints. Custom Holiday Cards are designed with your favorite prints from your session (25) 5x7 cards start at $87.50 and are discounted for large quantities. Upgrades to "Boutique" die-cut cards are available for an additional charge. Custom Art Albums are custom montage albums in 15 or 10 page spreads and sizes range from 12x12, 10x10 and 8x8. Prices range from $2195 to $950. These are also heavily discounted if included with wall portrait or wall panel collections, save up to 40% or 50%. Canvas Wrap Groupings are available in many sizes and designs. 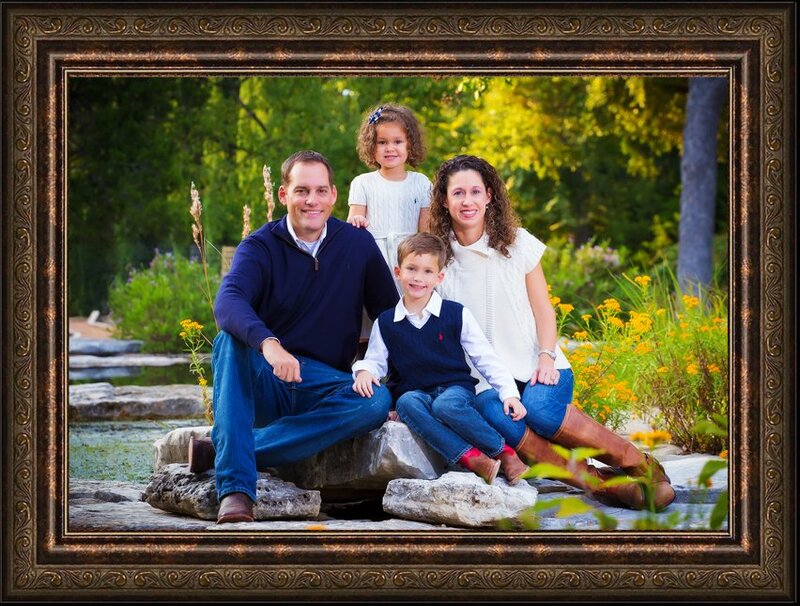 A sample of four 11x14 canvas wraps grouping includes a 10% discount starting at $1170. Social media and digital files are included in most portrait packages and include our "Limited Usage License". We offer digital family portrait packages starting at $450, multi-family sessions add $100 for each additional family. We strongly suggest a personal consultation to go over all cost and package collections, along with clothing, locations and the best time to schedule your family session. A $200 retainer is required to reserve your date and time and is applied to your package. A premier appointment is made following your session to view images from the session and purchase your package. Please bring anyone who needs to be a part of the decision making to this appointment. A 50% deposit will get your order underway. Need more time to pay? Ask about our custom, no-interest buy now, pay later plans. Call 512.930.4250 to schedule your appointment.